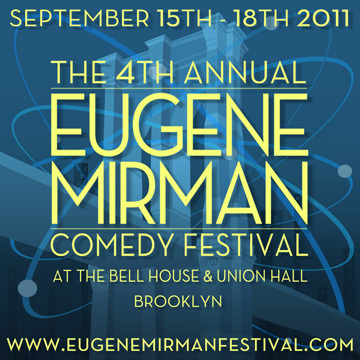 The fourth annual Eugene Mirman Comedy Festival now has dates and shows, so you can mark your calendars accordingly for next month’s festivities in Park Slope, Brooklyn. As the full lineups become available, you still can contribute to the EMCF in a very real financial way and be included yourself via their Kickstarter campaign. Two people have given $1,000 and gotten animals in a special festival petting zoo named after them. What will you do? Can’t wait for the month of September, I’m really looking forward to this comedy festival.